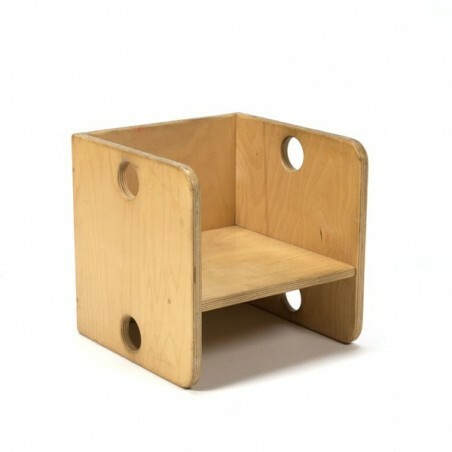 Cube chair in wood for small children (small model chair). 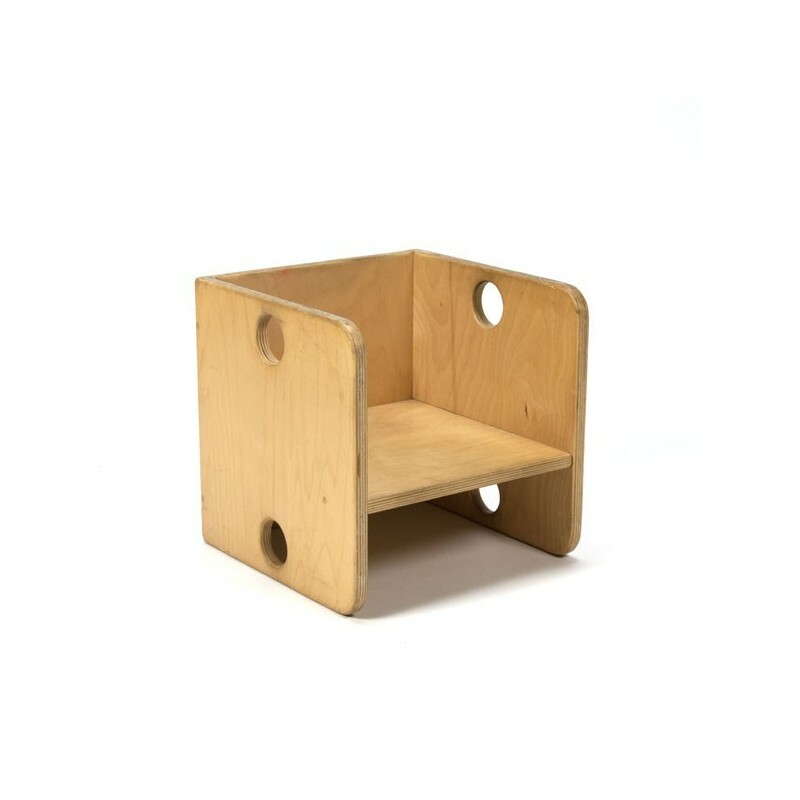 The chair has two different seat heights (11.5 cm and 18.5 cm), through the chair to turn you get another seat height. The condition is fairly good considering the age, see the detail photos. The dimension is 29 cm L / 29 cm W / 29 cm H.